For Deep Sea Fishing Enthusiasts... Gulf Shores and Orange Beach, Alabama! Surrounded by beautiful white sandy beaches, inlets and bayous of Alabama’s Gulf Coast, lies Orange Beach and Gulf Shores, Alabama Charter Fishing. For water enthusiasts of all kinds, there are endless activities available from the west end of Gulf Shores to Perdido Key pass. Right in the middle of everything is Orange Beach Marina. The marina is a full service marina surrounded by a harbor and conveniently accessible from the Intercostal waterway. 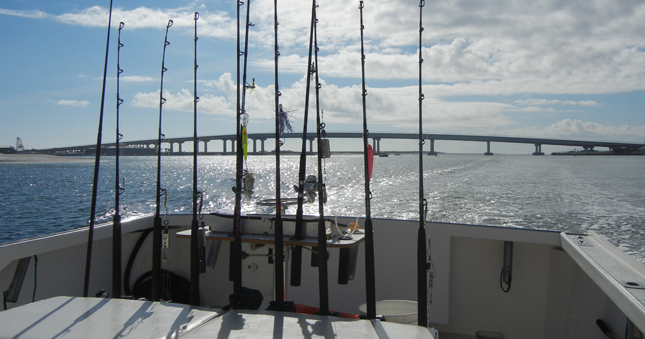 Orange Beach marina is the perfect place for docking your fishing boat or bay cruiser. The Marina grounds also include and on-site boat and yacht sales, brokerage, engine repair, fishing charters, water sports rentals, Fisher’s Restaurant and a multitude of other amenities. Captain Pete’s Yankee Star deep sea charter fishing boat is docked at the Orange Beach Marina. The marina is the nicest marina on the Gulf Coast, according to Captain Pete, and he has fished out of every marina along the Gulf of Mexico. It is a perfect location for a charter fishing boat to dock due to the easy access in and out of the marina to the gulf waters. The Gulf Shores area lies along the gulf coast of Alabama off south Highway 59 and Highway 182. Gulf Shores is a beach town with an endless array of condominiums, rental homes and hotels available to all vacationers near and far. The area along the coast flows right into the town of Orange Beach, Ala. The Orange Beach Marina is off Highway 161 which connects to Hwy 182. There are inlets and waterways all through the area perfect for vacationers from any area to charter boats, fish and enjoy sports on the water. 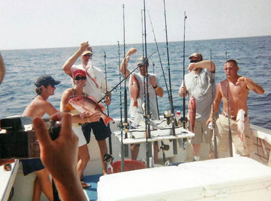 Vacationers from all over the country come to the Gulf Shores and Orange Beach, Ala. area to experience the incredible deep sea fishing available on the Gulf Coast. Unmatched by anywhere else is the miles of pristine white sand beaches available to the public. After a long day out on the water deep sea charter fishing, sailing, cruising, or swimming, enjoy the unique restaurants and night life of the coast. For those over age 21, there are bars hosting live music bands from all over the country. The restaurants in the area serve the best seafood ever tasted, all freshly caught from right here along the Gulf Coast.